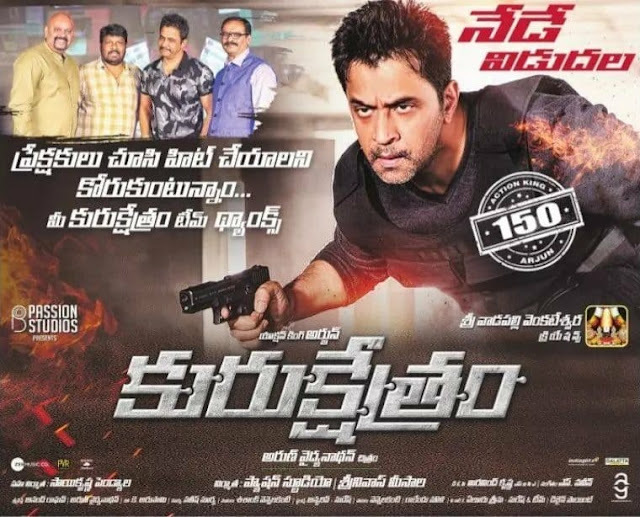 Kurukshetram is a suspense crime Thriller Ranjith Kalidoss (Arjun) is a specialist in solving unsolved and typical crimes one day he gets a intense crime case which involves a series of murders how he solves that case along with his team Joseph (Prasanna) and Vandana(Varalakshmi) ? what is the reason behind those murders? who that serial killer forms the remaining story . In this segment we must appreciate the producers for the Production Values the film looked like a straight telugu film Naveen has given extraordinary background score which has taken the film to next level. Cinematography by Arvind Krishna is simply super Editing by Sathish Suriya is good Director Arun Vaidyanathan has chosen good concept except few drags in second half his narration is good .script work is good . Dialogues are perfect .